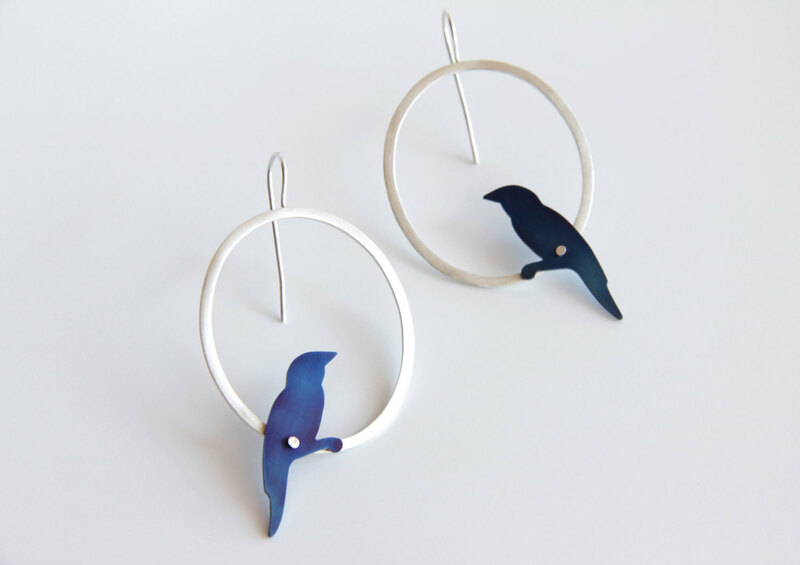 - The hoops are made out of hammered 2mm sterling silver wire, the birds are hand cut from 1mm titanium sheet. - The titanium color achieved each time from heat coloring is unique, so it might slightly differ from the one in the photo. 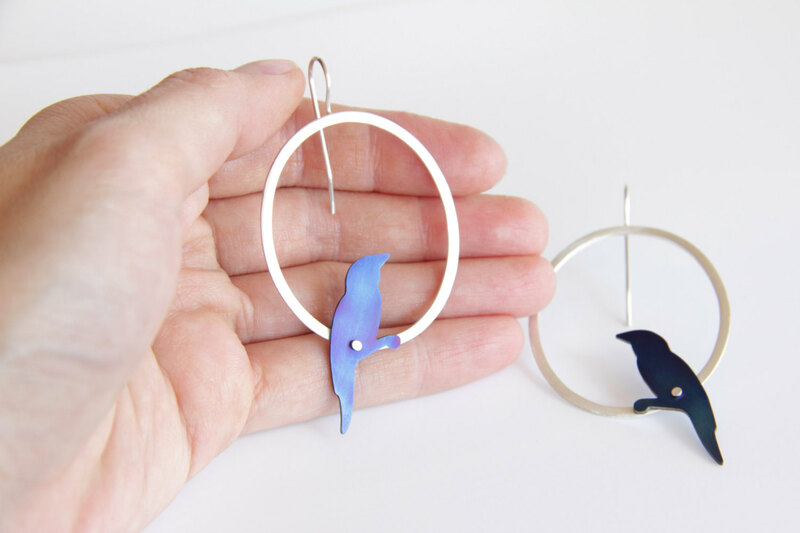 - The hoops measure 6cm (2.4 inches) long (including ear wire) by 4cm (1.6 inches) wide. - The titanium bird is riveted and does not have movement.